On 22nd July, HIH Princess Aiko departed from Japan to United Kingdom to join the summer school in Eton College. HIH Princess Aiko will be back on 9th August. In advance of the departure, on 21st July, HIH Princess Aiko visited the Imperial Palace Sanctuaries. 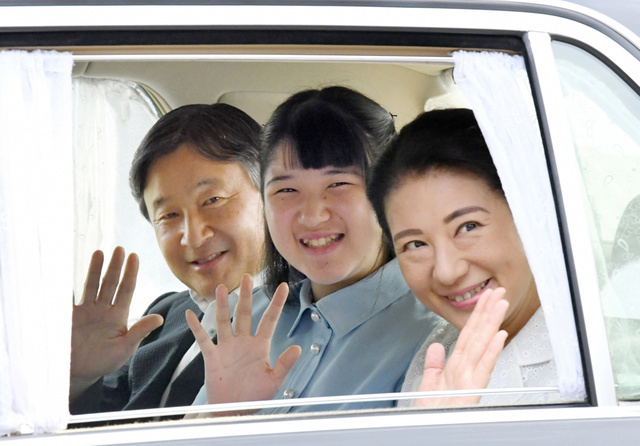 On that day, HIH Crown Prince Naruhito, HIH Crown Princess Masako and HIH Princess Aiko visited Imperial Palace to meet with HM Emperor Akihito and HM Empress Michiko.